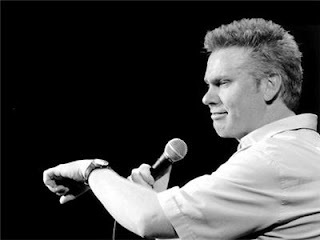 Brian Regan has built a career on pointing out the ridiculousness inherent in everyday life, from the overly specific directions on Pop-Tarts packaging to the knee-jerk social reactions that make people say stupid things in public — like exclaiming “You too!” to the waiter who just told you to enjoy your meal. Regan, who’s released several DVDs, starred in two Comedy Central specials and is about to release his second CD, is often recognized for the lack of profanity and “blue” humor in his routines, he’s not overly fond of the “clean” label. The Daily spoke to Regan about coming up with material, dealing with difficult requests and the ever-tantalizing F-bomb. DUSTY SOMERS: A lot of your bits start out as observational humor, then balloon into the absurd. How much is absurdity a part of your comic sensibility? DS: Does observational humor ever just fall into your lap or is it always the product of working and re-working? REGAN: Every once in a while something just falls into your lap and you don’t have to do anything. An example of that is a van that I saw that had two things printed on the side — “We speak English” and “We delivery.” That’s sort of like low-hanging fruit. In a way, it’s sort of like cheating. I didn’t create anything; I’m just holding up a mirror. But sometimes comedy is that. You hold up a mirror — it’s not just a regular mirror. Sometimes you’re holding up a mirror that’s refracted a little bit — an alternative version of reality. I think I’m getting very surreal with my answers. I don’t even know what I’m talking about anymore. DS: Has the “clean” label been a hindrance to your career or has it caused you to go in a direction you might not have wanted? REGAN: Even though it’s probably given me a wider audience than I might have had [otherwise], that’s not why I do it. I would cringe if I was doing something to get a wider audience. I work that way because I enjoy working that way. You know, there are different ways of approaching things. I don’t like to use those words or talk about those things because I don’t feel like it. I’m not saying others shouldn’t. There are comedians who work blue that are brilliant. It’s not my cup of tea. It does get frustrating when somebody might too easily hang a hat on that, and go, “Oh, that’s why people like it, because it’s clean.” I’d like to think there’s a little bit more to it than that. DS: Would you ever be tempted to throw the F-bomb into a routine just to see what would happen? REGAN: It’s something I kick around in my head sometimes. I don’t have any short-term plans of ever going in that direction, but it’s sort of a fantasy of mine — I’d love to do a special on TV where I come out wearing a T-shirt that has the F-word on it and I’m wearing a hat that has the F-word on it and the backdrop is a big giant backdrop with nothing but the F-word [on it], and then do my show completely clean. And then just force people to write about something else. DS: What balance do you try to strike between pushing into new territory and maintaining classic bits? REGAN: I try to keep moving, man. I try to keep moving along and coming up with hopefully new stuff. It is a difficult quest because some people want to hear mostly older stuff and some people want to hear mostly newer stuff. You realize after a while that you can’t please everybody. I do like to go out at the end of the show and do maybe 10 minutes of audience requests, where people might shout out some older stuff that they’d like to hear. I don’t mind doing 10 minutes of the older stuff, but it would drive me crazy just to be doing greatest hits all the time. DS: Are there any bits you just want to retire that people keep requesting? REGAN: I usually try to gravitate toward what people are shouting out, but even that is getting challenging because some bits are easier to request than other bits. Sometimes it has nothing to do with how funny a bit is; it’s how easy it is to request. It’s easy to shout “Pop-Tarts,” but it’s not as easy to shout “Do the routine ... where you’re at dinner ... and one guy is talking a lot ... and you feel like you should probably say something ... and you feel uncomfortable saying it ... but you say it anyway ... and then you have a fantasy ... maybe you wish you’d said something else.” It’s just un-requestable. DS: How often does a stranger say “You too!” to you in your day-to-day life? DS: I figured. How do you deal with something like that, which is hilarious and relatable for others, but has no novelty left for you at all? REGAN: Well, you try to understand that for them, they don’t know how often you hear it. So I try not to ever be jerky to anybody. I’m always appreciative that anybody would want to say hello or quote something to me from my act. It’s cool. You’ve just got to roll with it. But it does make you feel good when somebody thinks, “Maybe this person has heard this. Maybe I’ll say something else.” For me now, in my life, when I go up to somebody [famous], I will never say the first thing that pops into my head. I just figure, it’s probably the first thing that pops into a lot of people’s heads. I ain’t saying it. I’m going into my quiver and I’m going to pull an arrow that isn’t so readily thrust. DS: Anything else vitally important to share?